A spokesman for the energy sector defended them, saying they had spent tax-deductible billions on investment, and in any event paid proportionately more tax than other sectors compared to its contribution to GDP. But they are accused of hiding profits through the complex relationship between different divisions of the same company. Selling energy to consumers – the retail market – is separate from the business of energy generation, and they also have energy trading arms that buy and sell power daily in the "spot" and futures markets. 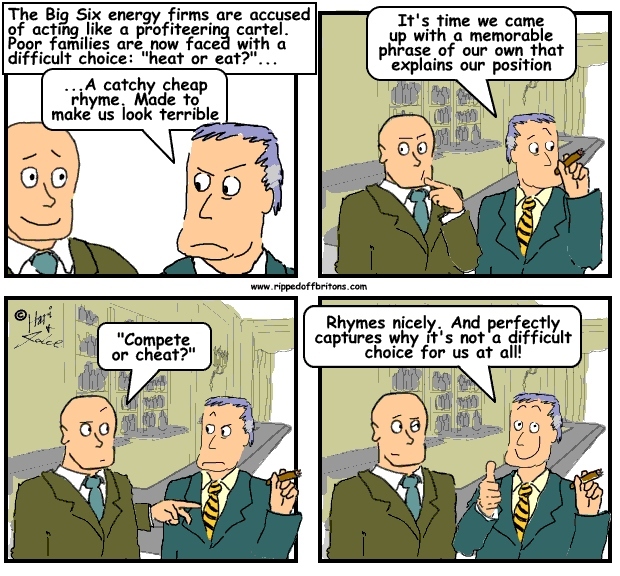 Liebrary: Are energy companies really forced to raise prices due to high wholesale prices? No!